FEATURE — Rockville’s neighbor, being the gateway to one of the most visited national parks in the nation, gets much more attention. 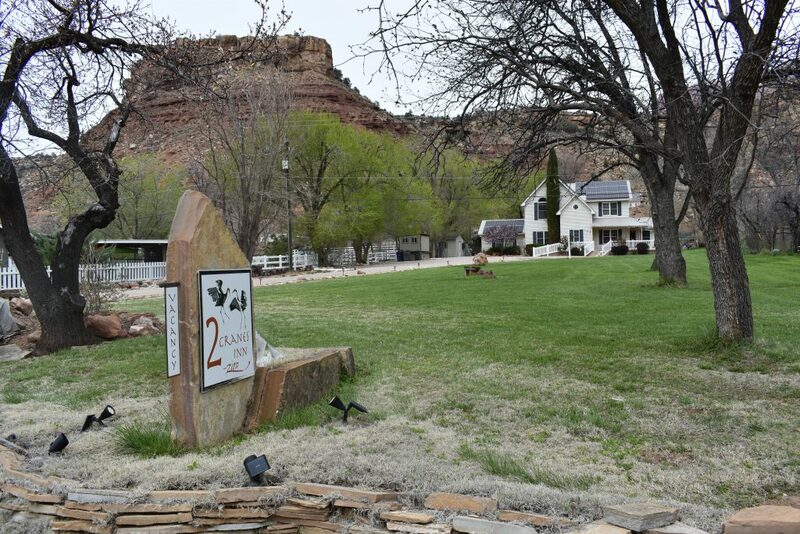 Springdale boasts a multiplicity of accommodations, restaurants, outfitters, gift shops and the like to meet the needs of the growing throngs of tourists who flock to it as their base camp. In short, it’s more commercial. By contrast, Rockville isn’t very commercial. It’s much more quaint. Its most visible businesses are a fruit stand on its east end and several bed-and-breakfasts peppered along its tree-lined and ditch-bordered Main Street, which just so happens to be state Route 9, on which nearly five million tourists per year pass on their way to the main attraction, which, of course, is Zion National Park itself. Those who slow down and look around will be rewarded and discover the charm of this little hamlet, whose population hasn’t changed much over the course of the last century. The population, according to the U.S. census, was 189 in 1910 and 247 in 2010. An old telegraph office, several historic, restored homes, one of the most iconic bridges in the state and idyllic pastures enveloped by sweeping vistas of the stately surrounding monoliths and mesas, including Eagle Crags on its immediate horizon, make it a charming place to spend some time. 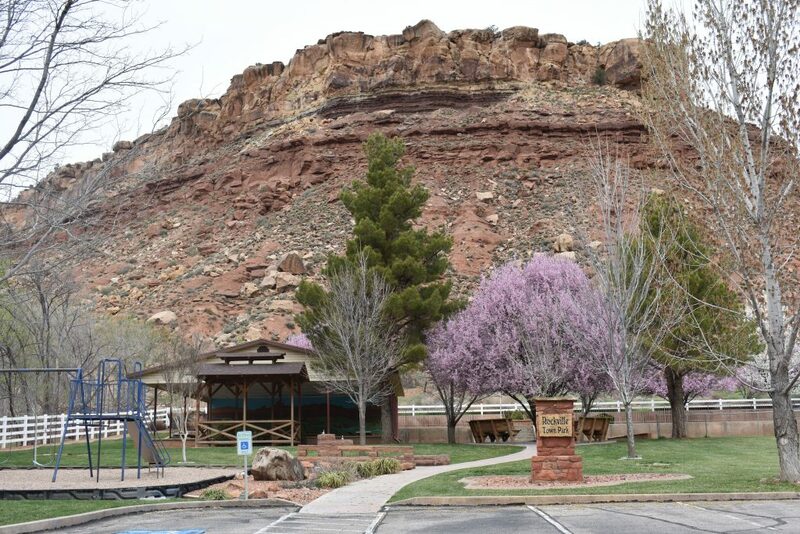 Rockville was originally called “Adventure” due to the first settlers’ challenges with the Virgin River. In fact, a great flood early on wiped out much of what the first settlers of the upper Virgin basin towns first erected. 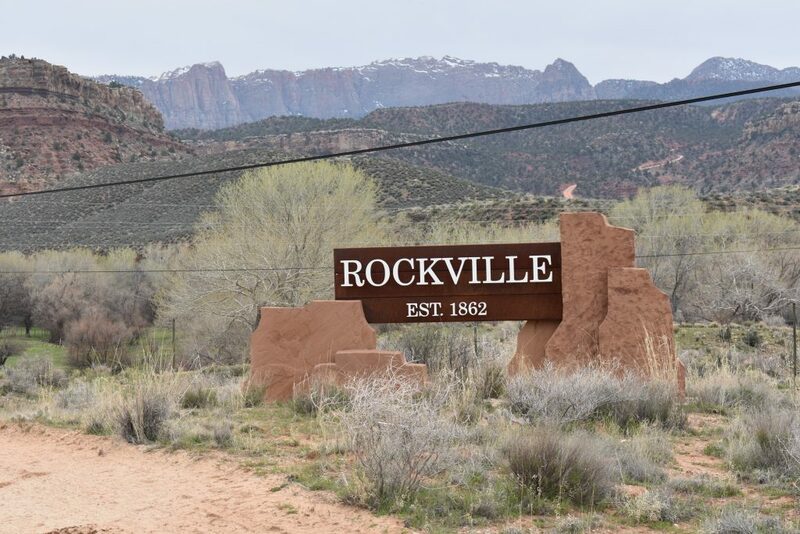 The first residents decided to abandon the original townsite and move to a higher bench, renaming the town Rockville because of its many surrounding boulders. Among the first to settle Rockville, which was established in 1862, were Henry and Ann Jennings and their family. When they arrived, it was too late to plant crops and they had to construct dugouts to live in. But the next winter, they fashioned a log house with a dirt roof. The Jennings family and their contemporaries had to clear the land of brush and dig a canal from the river to divert water into ditches in order to make agriculture successful and ensure culinary water reached each home. These ditches required constant maintenance and would sometimes overflow and wash out whole fields during a flood. Later on, residents even “paid” for their water shares by cleaning the ditches. Once earthen, these ditches are now lined with stone and still used to provide irrigation in a system not pressurized and still dependent on gravity. The original canal was replaced by a large PVC pipeline, and the ditches are now on the National Register of Historic Places. 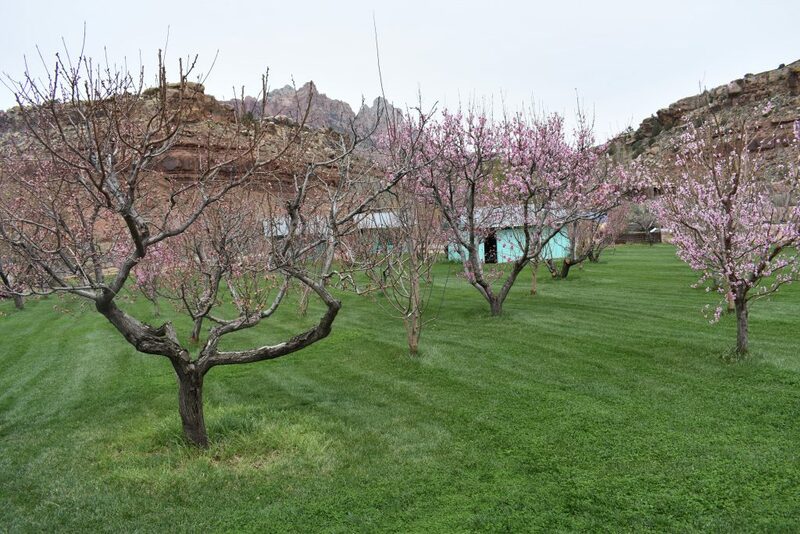 The first year they planted, Jennings said about all they grew was cotton and cane, which was what Brigham Young encouraged farmers in Utah’s Dixie to grow because both crops would not grow in northern Utah’s colder climate. Due to this encouragement by their leader, at first they didn’t grow much grain but started growing more later on as they realized they needed it to sustain themselves. In time, Rockville proved itself high and rocky enough that the river did not wash it away as frequently as Grafton’s old townsite and Virgin, Whalen wrote. 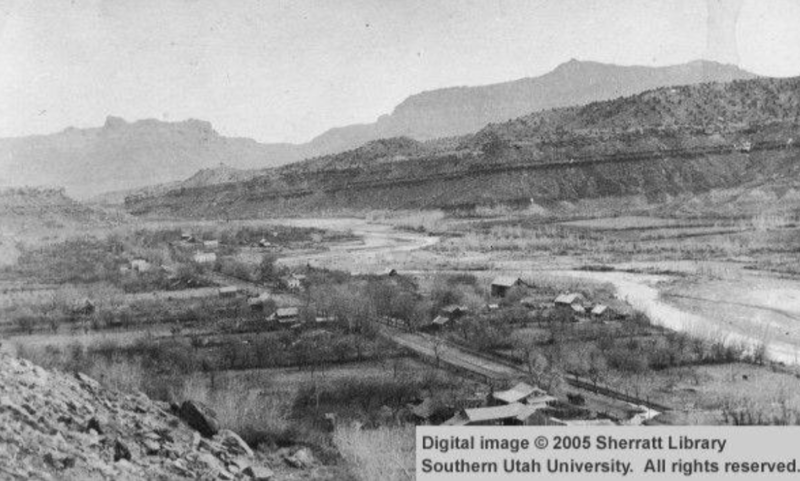 Partly because of its higher location that was more resistant to flooding, it became the concentration point for settlers in the upper Virgin basin to relocate temporarily during a time of increased trouble with Native Americans from 1865-1866. 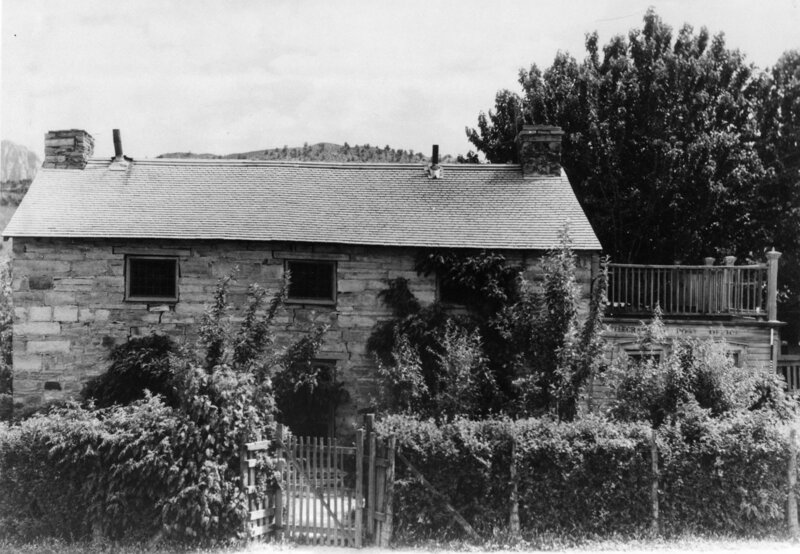 One of Rockville’s homes from this era that still stands is the Edward Huber home, built in 1864. 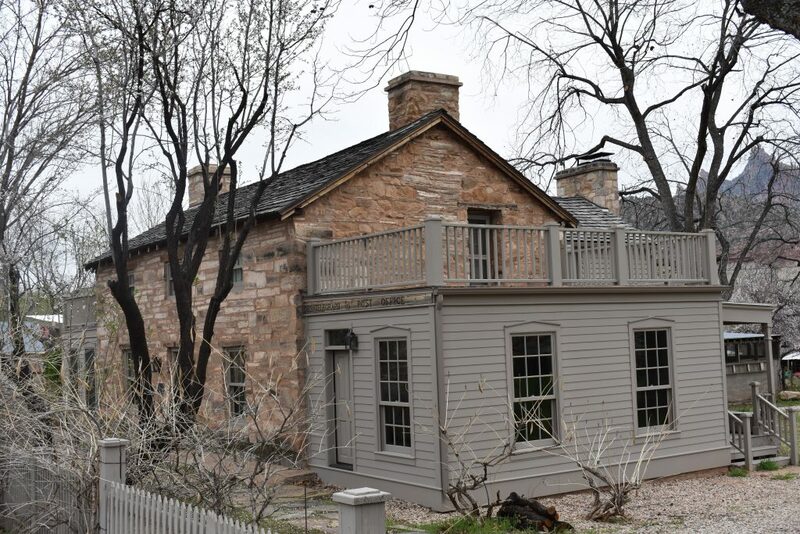 The home has become known as the Telegraph Office House, because an addition built to the west of the home in the mid-1870s became an office of the Deseret Telegraph Company and served as a telegraph and post office for over 20 years. 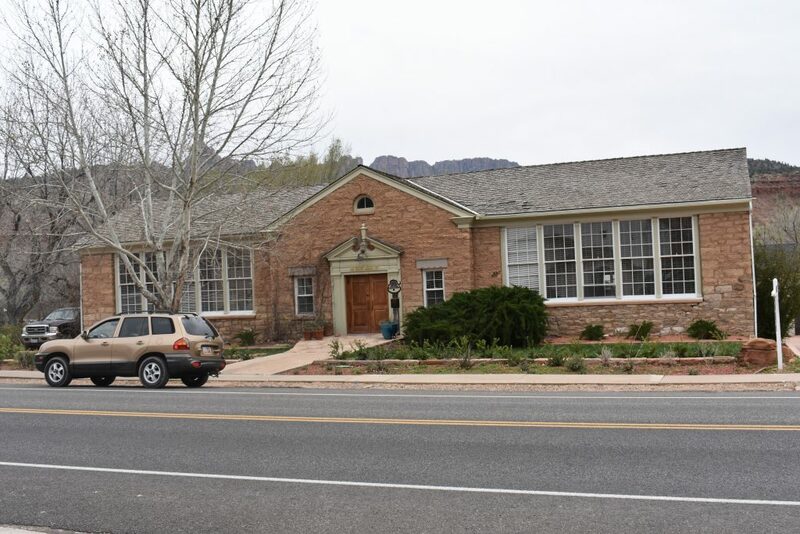 The Deseret Telegraph Company served all of Utah as well as settlements in Arizona, Nevada and Idaho. The building is on the National Historic Register. By 1866, Rockville had a population of 95 among 18 families who in total had 105 acres under cultivation. Rockville’s early settlers were forced to be resourceful. For instance, they had no thread so they improvised and used the dried fibers from Yucca, which they called “ooze,” to sew their clothes. Since cash was scarce, much of the business of the day was conducted by bartering goods. One early settler said that dried fruit and sorghum (otherwise known as molasses) became, in essence, currency. Both were major staples produced in the town. Sophia Langston Terry, daughter of John Langston, another of Rockville’s first settlers, recalled in her diary that fruit harvesting season was a busy time in the town. Helping each other out became, in a way, a source of recreation — a social gathering. Whalen wrote that when some Rockville farmers discovered the high trade value of sorghum, they didn’t see much of a point in growing wheat because they could trade the sorghum they made for wheat. “Rockville sorghum could be traded in the north for a bushel of wheat, and with sorghum yield often as high as 500 gallons per acre, it was more profitable to raise sorghum and trade it for wheat,” Whalen explained. Making sorghum, however, was a laborious process, which required six men. It consisted of going through mill rollers twice – the first time to crush the cane stocks and the second time to squeeze out the juice. Then the juice had to be placed in a vat to cook, and if it was undercooked, it would be sour and spoil, and if it was overcooked, it would basically turn into molasses candy, according to Rockville resident Bob Cox, as quoted in Whalen’s book. “Our amusements were going to church once a week and dancing,” Jennings wrote, also mentioning making swings on cottonwood trees and swimming in the river. Dances were one of the early townspeople’s main diversions, and admission to the dances were anything the pioneers had on hand, including wheat, corn, pumpkins, homemade molasses and raisins. Local fiddlers and a small, portable organ provided music for the dances. The musicians’ pay came from whatever attendees brought for admission. 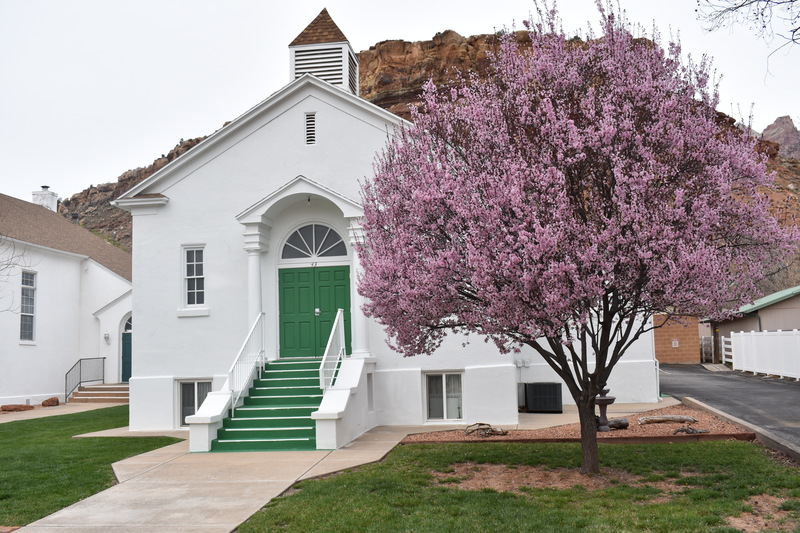 Charles Nephi Smith, who served as the Bishop of the Rockville Ward from 1867-1891 and is the namesake of Smith Mesa, operated the first store in the fledgling town, a cooperative set up by the church. Some townspeople theorized that the church set up these stores to provide employment for bishops, better enabling them to look after spiritual affairs but also help the community financially. 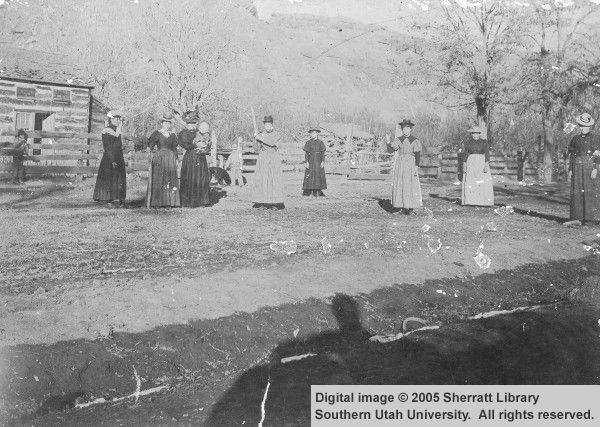 The record shows that the next manager of the store, Zemira Draper, would send out as many as 20 wagons at a time loaded with produce to Milford, so it could be taken by railroad to the Zions Cooperative Mercantile Institution — ZCMI — in Salt Lake City. Some early settlers, such as Gottlieb and Marianna Hirschi, planted fruit trees, lucerne for hay and some corn. 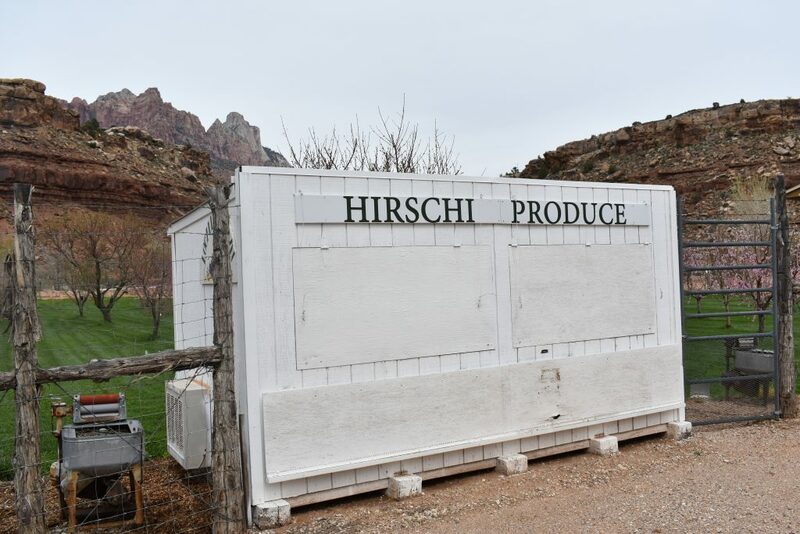 The Hirschis had a large lot in town where Church members would bring their in-kind tithes, since cash was in short supply at the time. Gottlieb Hirschi served as bishop of Rockville from 1891 to 1900. 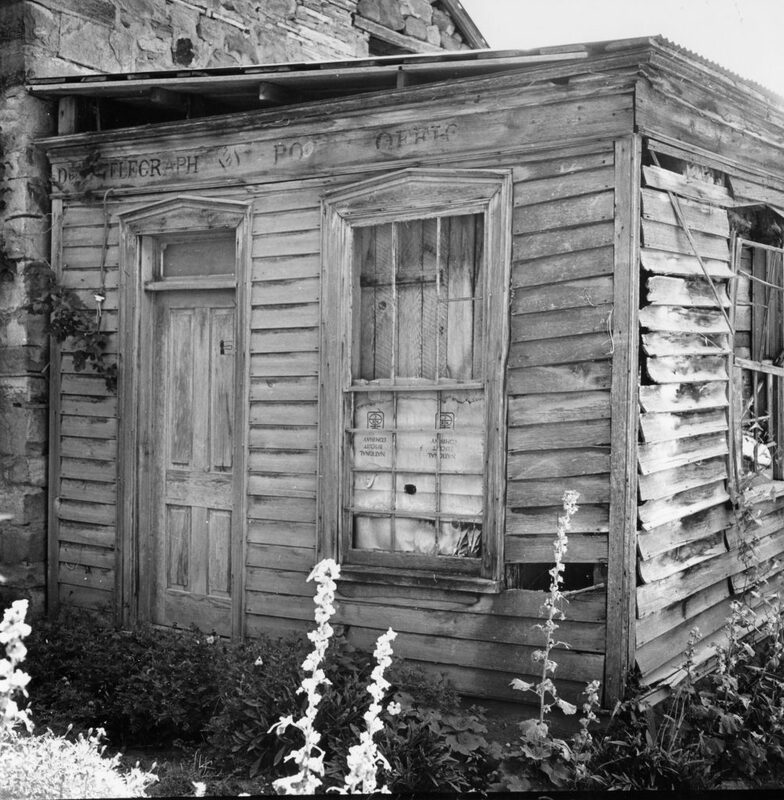 The tithing storehouse, with scales on the street, was located at what is now 126 Main Street. Near the turn of the 20th century, the practice of in-kind tithing went by the wayside, however. The 20 years from 1880 to 1900 saw a decrease in Rockville’s population, with some of its residents, the younger generation especially, looking for literal larger greener pastures on which to farm. Of the 42 families in Rockville from the 1880 census, only 14 of them remained in 1900, Doug Alder and Karl Brooks reported in their book about the history of Washington County. For instance, some Rockville residents moved to Hurricane in the early 20th century after the Hurricane Canal was finished. 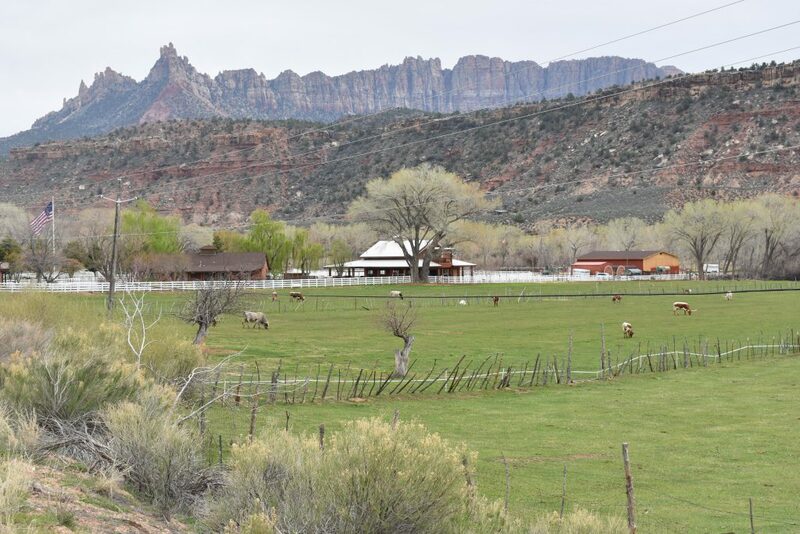 In the last two decades of the 19th century, cattle became a significant part of the Rockville economy, with a good summer range on the Kolob Plateau and a winter range in the Hurricane Valley. At the turn of the 20th century, Southern Utah residents began to realize that scenery could be one of Washington County’s most enduring products and Rockville, being so close to the most popular scenery, became heavily impacted. In 1909, the administration of President William Howard Taft designated what is now Zion National Park as Mukuntuweap National Monument. It was expanded and renamed Zion National Monument in 1918. Congress upgraded it to national park status in 1919. Seeing the potential income from tourism, the Union Pacific Railroad built a spur line off the main railroad from the town of Lund to Cedar City in 1923 and started conducting bus tours of what it deemed “The Grand Circle,” which included Zion as well as Grand Canyon National Park and what would eventually become Bryce Canyon National Park and Cedar Breaks National Monument. The Parks Company built lodges in each park to accommodate the tourists during their tours. 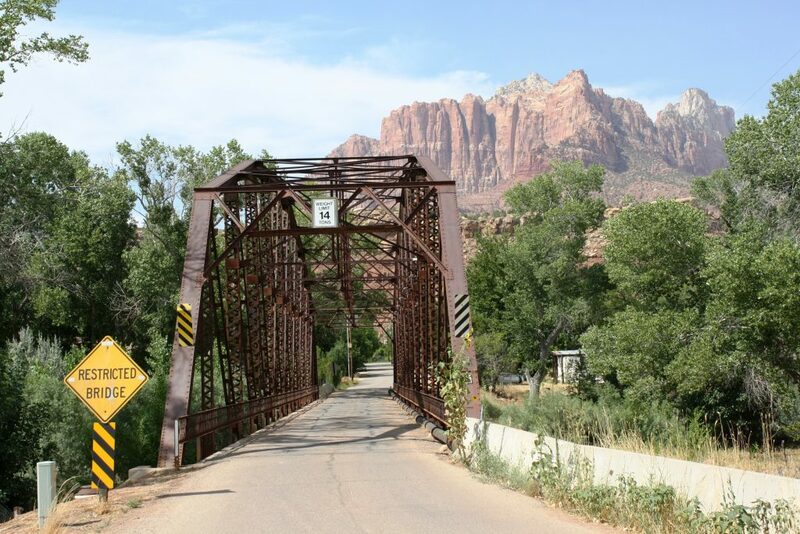 To facilitate these bus tours as well as the increased automobile traffic visiting these parks, the National Park Service literally looked outside the box and initiated construction of a 217-foot bridge across the Virgin River in 1924 to meet the needs of the Utah Parks Company. It was a rare move of the NPS to extend outside its boundaries, but the the new route, which was largely a graded dirt road, would shorten the distance between Zion and the Grand Canyon by 33 miles, which was a crucial benefit to the Utah Parks Company and its buses that took tourists to the two national parks. First NPS director Stephen Mather, who saw such development as justification for the parks themselves, even donated $5,000 of his own money to build the bridge. C.F. Dinsmore, an Ogden bridge contractor, erected the bridge on site from prefabricated steel components manufactured by the Minneapolis Steel and Machinery Company. In the late 1920s, the Rockville Bridge was an essential link in a concentrated network of national parks. Daily bus service transported tourists over the Rockville Bridge in a loop tour from Zion National Park south to the Grand Canyon and then north again to Bryce Canyon. The Parks Company ceased using the bridge when the Zion-Mount Carmel tunnel opened in 1930. The bridge was put on the National Register of Historic Places on Aug. 4, 1995. The bridge and the tunnel meant Rockville was no longer on a dead-end road, which signaled the beginning of what can be considered the modern era of the town. For instance, electricity arrived in 1926 and indoor plumbing in 1928. While stores before this time period were hit and miss, Marvin and LaMar Terry opened a general store and gas station in 1925 that was successful, operating until the mid-1960s. It is now a private residence. The 1930s saw the construction of a new church and school after the old ones burned down. The school, built in 1934, was utilized until 1955, when Rockville students were bussed into Springdale. It served as a photography studio for a time and is now a private residence. The church was finished in 1935 and was used until Rockville Ward members started traveling to Springdale for church in the 1970s. It now serves as the town hall and community center. In 2003, the Rockville Bridge’s future was put in jeopardy when its weight capacity was downgraded from the original 25 tons to 14 tons. Options for the bridge included bridge replacement, building an additional bridge or bridge rehabilitation. 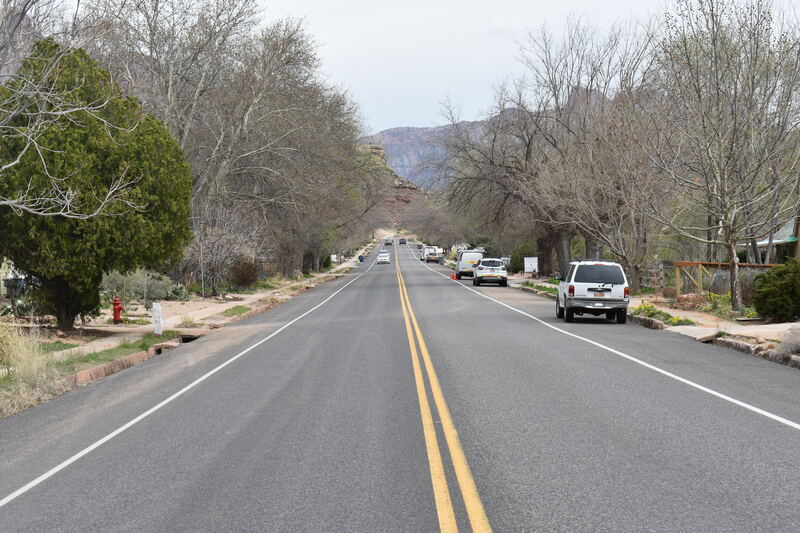 When the community surveyed residents to see what direction it should go with the bridge, 74 percent of Rockville citizens favored the option of rehabilitation, Hamilton said, and the town leadership listened. The direction the town decided to go fell right in line with the town’s historic preservation ordinance, passed in 2007. 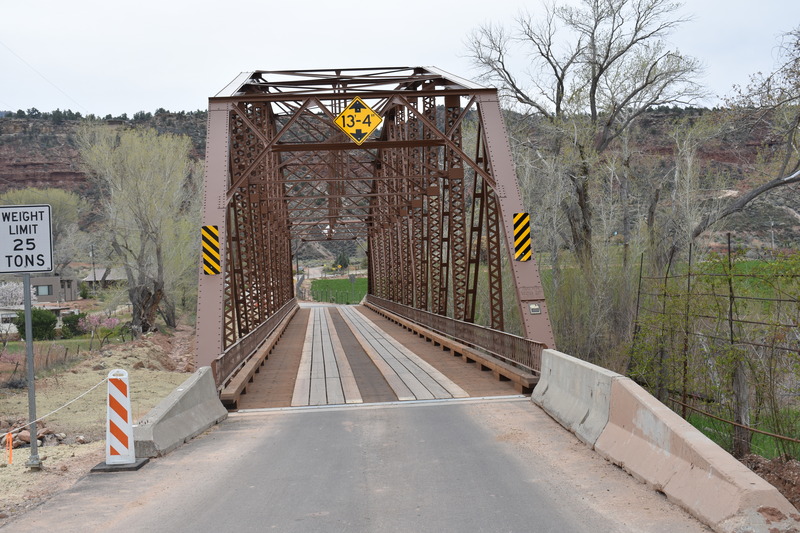 Besides its historical significance, the bridge also plays the role as the connector from Rockville’s Main Street to the ghost town of Grafton as well as to Gooseberry Mesa, Smithsonian Butte and state Route 59. 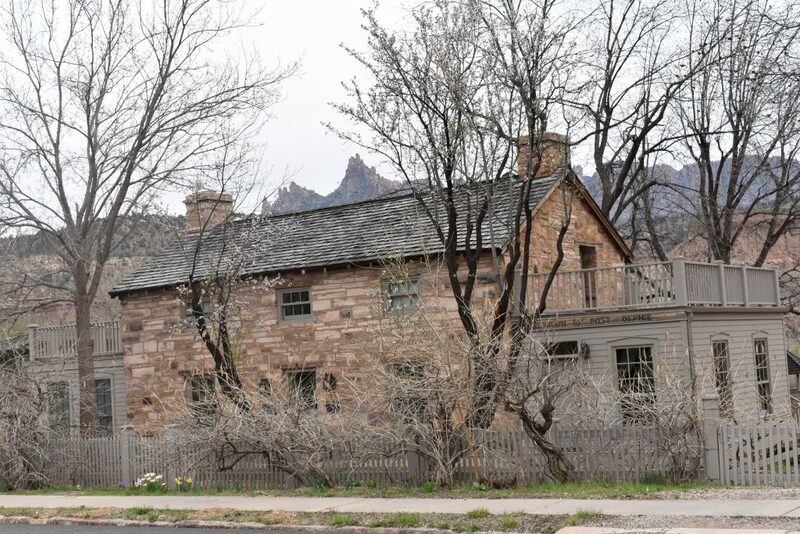 The town’s of residents chose “to hold fast to their historic land use code, whereby historians have dubbed the town ‘Utah’s last treasure,’” Hamilton said. The committee held numerous fundraising events and even got some help from one of its younger residents, then 4th-grader Romy Thomas, whose poem about the bridge helped convince the Joint Highway Committee to award the town a grant to the tune of $2.5 million to rehabilitate the bridge in the spring of 2016. Rehabilitation work began last fall and is now complete. One of the original plans brought up the possibility of building another bridge near the historic bridge, upstream, but that plan was abandoned. “We have identified and obtained the right of way to another corridor on the western portion of town where a new, modern, two-lane bridge can be built at some point,” Hamilton said. Washington County’s desire to eventually pave the Smithsonian Butte Scenic Backway, Hamilton explained, will most likely be the reason a new bridge is built in the future. So it could be a case of déjà vu approximately a century after the first Rockville Bridge was built. This time the road would be paved, though, and would certainly bring more traffic. 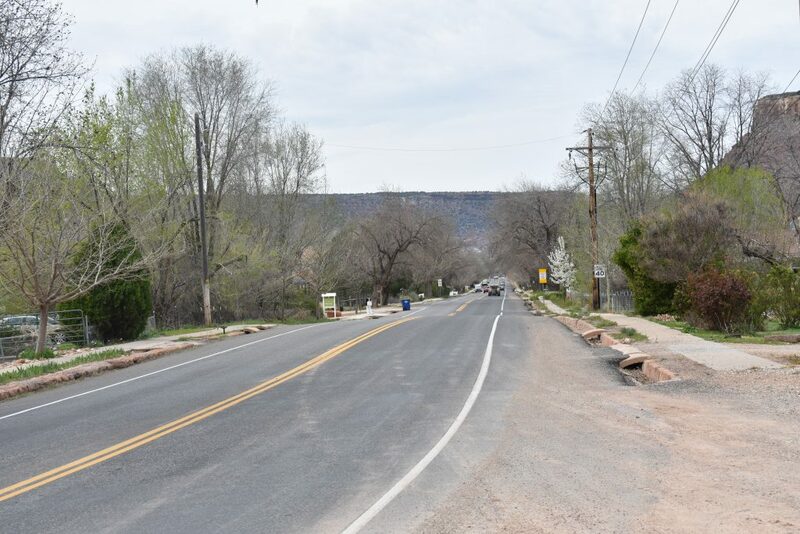 However, the increased traffic caused by a new access point would lead to visitors seeing more than just the town’s main drag, which is all most see today. 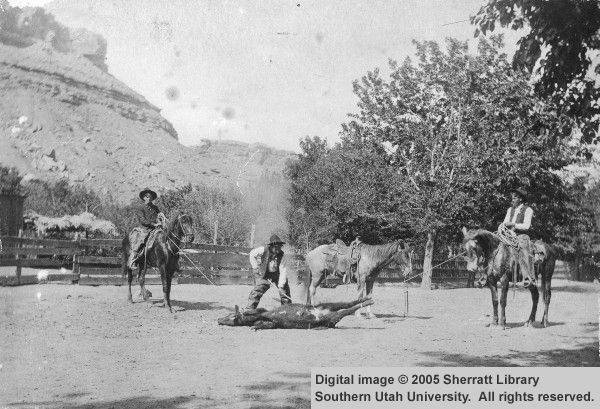 “Days” is a series of stories about people, places, industry and history in and surrounding the region of southwestern Utah.